Plot: Following the death of her father, Alice (Ruth Wilson) returns to her home village for the first time in 15 years, to claim the tenancy to the family farm she believes is rightfully hers. Starring: Ruth Wilson, Mark Stanley, Sean Bean, Esme Creed-Miles. distributed by FilmRise «Dark River» in the US movie theaters released on June 29, 2018 and has grossed over $8k worldwide; dvd and blu-ray release date was set for September 4, 2018. Netflix dvd by mail rental date set for September 4, 2018. Redbox rental date is not announced. 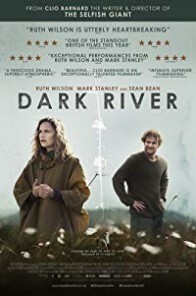 «Dark River» in the UK released in movie theaters on October 7, 2017. The movie released on dvd and blu-ray on June 25, 2018.